Keeping your products safely contained while boosting your marketing requires solutions that are reliable, efficient, flexible and that maximize performance. This is especially important when you need to quicken and simplify shelf-filling activities with a tidier point of sale. The Vega shrink-wrap packer range from OCME spans from medium to extremely high output. Different models are available from 20-150 cycles per minute, packing in single, dual or triple track mode depending on bundle size. They can package in film only, layer pad, U-board, tray and stacked tray configurations. 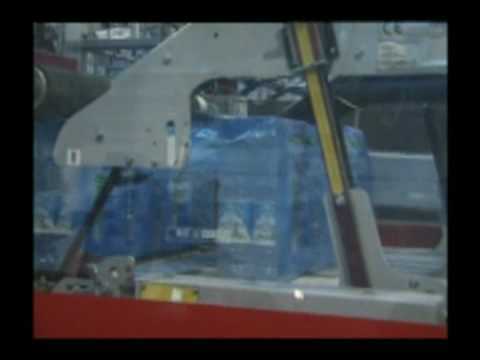 The two main components of a shrink wrap packer are the cutting and continuous film system and the heat shrink oven. OCME has adopted a cutting system that guarantees high reliability over time thanks to the combined blade and counter-blade action. This means less wear on the cutting blade does not require complicated adjustments. The Vega heat shrink oven controls the time for which the bundle stays in the oven, temperature, air flow and the film quality and shrinkage percentage.